I'm on vacation right now at the beach - we are in Corolla, North Carolina with some friends from college having a great time enjoying the beach. We rented a house and have been making lots of simple BBQ meals and such. I decided we needed dessert as well, after all we are on vacation, but wanted to make something easy that didn't have a million ingredients. 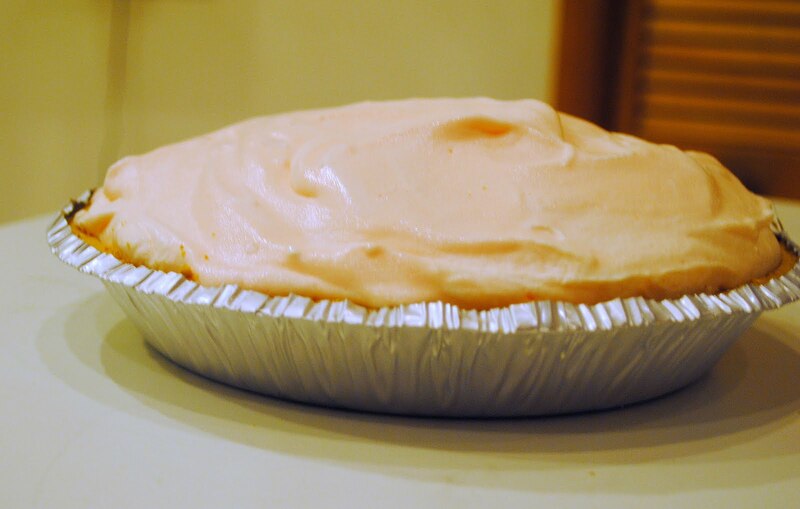 The perfect recipe - pink lemonade pie. You can easily make this recipe in five minutes with just a few ingredients and its fantastic after a hot summer day, at the beach or not. It has a really light, refreshing taste. Ice cream at the beach is always a great treat. I really don't remember where I originally got this recipe - I've been making this for several years now and haven't looked at a recipe for a long long time so I'm not sure of the original source. Set out ice cream to thaw for a few minutes or pop into a microwave for about 30 seconds to soften slightly. Beat cream until stiff peaks form. Combine lemonade powder and water in the bottom of a mixing bowl. Add ice cream and beat on low speed until smooth - you can use a wooden spoon to do this as well, it will just take a little extra effort to make it smooth. Gently fold in whipped cream. Pour mixture into prepared pie crust. Freeze at least 4 hours until set. Remove from freezer about 5 minutes before slicing. I never thought of using mix and water....I make one using frozen concentrate. This expands my recipe to even those crystal light flavors my husband loves.. Thanks! Thank you for this recipe. 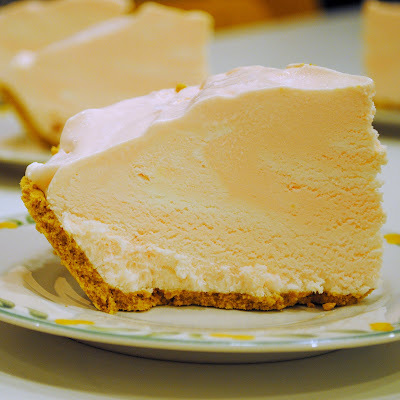 I will make this tonight to have for Easter dessert for tomorrow. What do u think of me adding strawberries. Would it be bad inside(mess w the taste?) Should I just put them atop as toppings? Also, could you add subscription option and 'email notice of new reply' option as I'd like to know if/when you reply. If that is not an option due to blogspot.com''s parameters, please email lady3athotmaildotcom when you reply. Thank You. @Lilkunta - Sorry I'm probably too late on this but I was travelling this weekend... I think you could definitely add strawberries to this -- just make sure they are well drained so it doesnt add too much liquid if you use frozen berries.